I've been creating miniature sculptures of commanders over the past month. So far I've finished Sliver Hivelord and Ghave, Guru of Spores. I'm currently working on Glissa, the Traitor. Is there any particular commander that you think would make a really good miniature? Last edited by NMEofEntropy on 2016-Jan-29 8:01 am, edited 1 time in total. Mimeoplasm would look super cool I bet. Though not a commander, the beauty that is moonveil dragon would look really nice as a model! For what it's worth, I'm a big fan of the two you've done already. Uh, Kaalia? She'd be cool methinks. Mimeoplasm would be odd to make. I've never tried to do an amorphous creature, but it at least has some detailed sections. The glowing paint job would be good practice, too. Progenitus would be a bit odd to do since it's not shown clearly in the art. Perhaps just a ton of heads coming up from the base? That would look really good. It's a neat design, and the transparent wings would be a real challenge. Haha Nicol Bolas has a really cool look, but I'm probably not going to be making him anytime soon. I've sculpted a few dragons before, but it's been a while. I'd like to try another dragon soon, but I haven't decided which one yet. 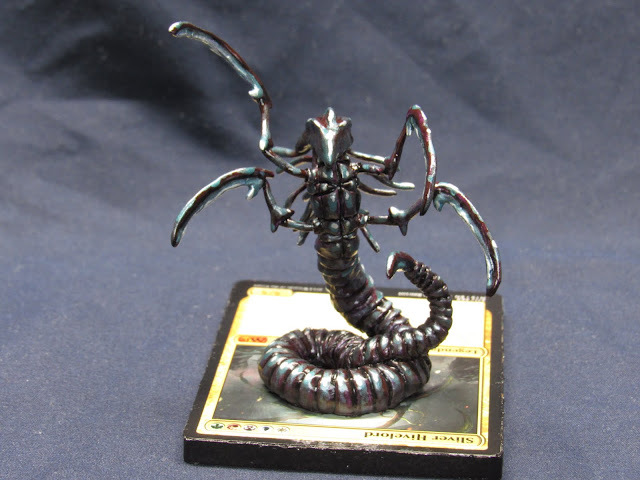 Did you have any kits in mind already that you were going to convert to Nicol Bolas? 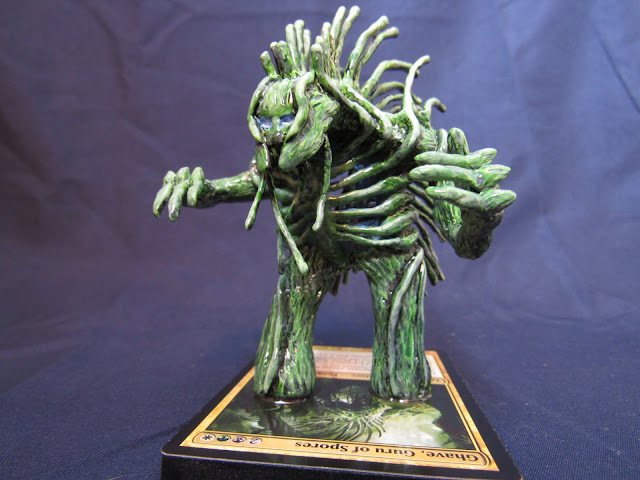 I'd really like to make Kaalia. Her double wings would be really neat, and the vivid red color would look super striking from across a table. That's a really neat looking kit. I've never tried doing a conversion, but that looks like it would have some useful parts after some modifications. My plan for doing a dragon on a card is to use a piece of aluminum or steel as the base to provide weight. It would allow me to have a large dragon hovering above the card similar to how that kit is floating above a smaller base. I've been thinking about it a lot, so maybe I'll pick a dragon to work on after Glissa. If you are looking for a dragon to make a model of, Karrthus is a good option. You could also do Bladewing, or even Niv Mizzet. I hadn't seen Karrthus before, and he'd make a neat model. His head is interesting. It's sort of similar to Niv-Mizzet's frill, which I'm sure would make far a really striking figure. Was in a bit of a hurry when I saw Glissa on Reddit, but I did upvote your post. Good work.